The Turner Ceiling Bracket is an attractive flush mount ceiling fixture that has a simplicity of design well-suited to myriad decor schemes. 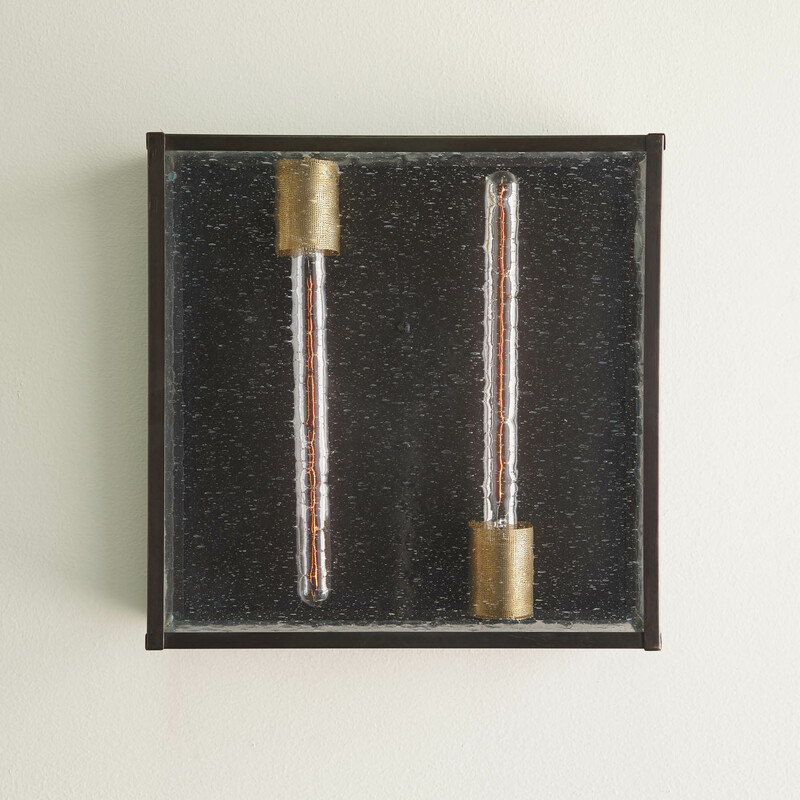 The fixture is comprised of oxidized brass, seeded glass, 4 bulbs (shown here with two), and a perforated brass accent that conceals the socket covers while also adding a unique layer of texture. 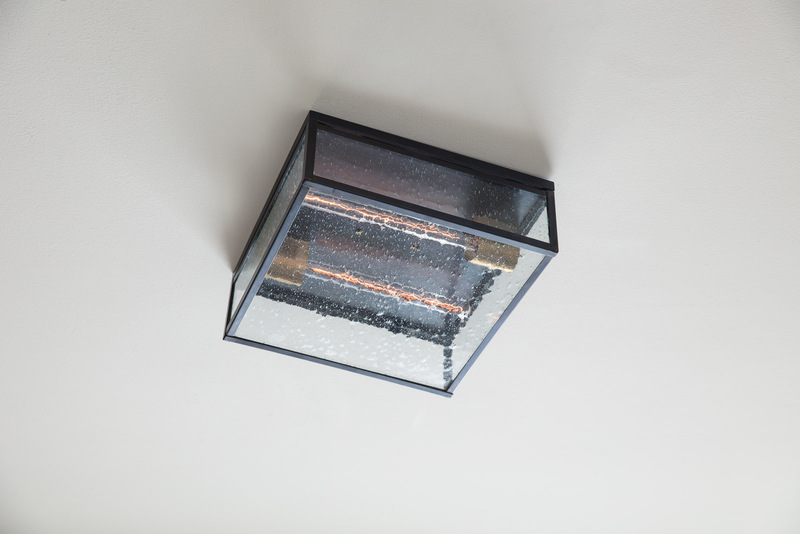 Fixture available in Oxidized Brass or Black Brass only. See our finish chart for swatches. Bulb options: 2 T8 clear lamps or 4 T10 clear lamps, T9 dimmable LED lights are available at an additional cost. Options. The Turner can be customized to provide dimmable ceiling lighting for any space. Functional. A flush-mounted bracket that offers the perfect blend of detail and simplicity. Sleek and simple. A combination of sharp, clean lines and perforated brass details comprise the look of this fixture.